3 March, 2015, London. Low-paid workers at the prestigious Royal College of Art have this week begun a campaign to win the London Living Wage of £9.15 per hour. The campaign was launched yesterday with a leafleting session at the main entrance to the college in Kensington where more than 400 fliers were distributed. Like many higher education institutions the Royal College of Art outsources services such as cleaning, catering, and maintenance. As outsourcing often entails, the employees of these companies are on far inferior wages, terms, and conditions than their colleagues who work directly for the Royal College of Art. For example, the cleaners, employed by Ocean Integrated Services, earn as little as £6.82 per hour cleaning the building from 12 to 5am. “It’s difficult to live on such a low salary. Just the rent consumes 50-60% of our earnings,” said Julian Marin, a cleaner at the Royal College of Art. 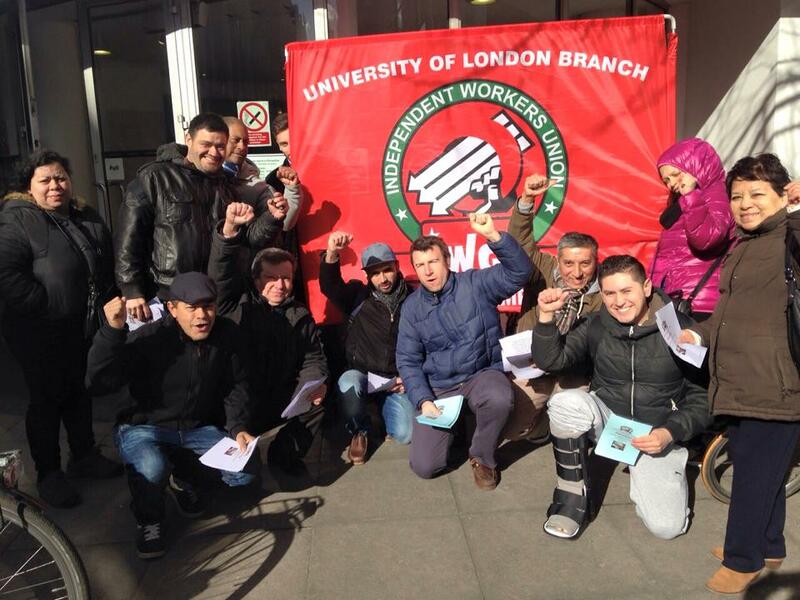 In response to increasing pressure from the IWGB, the Royal College of Art announced that it would pay the London Living Wage to its cleaners in September of this year. However this offer was rejected by the IWGB on the grounds that forcing the workers to continue living in poverty for another half year simply was not tenable. Furthermore, whilst an improvement in wages for cleaners is certainly welcome, the campaign encompasses all outsourced workers, not just cleaners. The IWGB campaign is rapidly gathering momentum with growing support on social media and from students at the Royal College of Art. Yesterday both the UNITE and UCU branches at the college put out a statement calling for immediate implementation of the London Living Wage. A protest has been called for Friday, 13 March at 1pm at the college and the union is contemplating industrial action if the campaign is not won in the next couple weeks.